Nano Nagle was born in Ballygriffin, County Cork, in 1718, the eldest of six children. Her baptismal name "Honora" was soon replaced in the family circle by the diminutive "Nano". By the time of her birth, Ireland had suffered through 200 years of British rule, and while Nano’s parents owned land, the Nagle family’s once substantial holdings had been eroded under British rule because of their loyalty to the Catholic Church. Some land was preserved by an uncle who converted to Protestantism so as to be able to hold land on behalf of Catholic members of the family. British oppression was reflected in a set of Penal Laws described by Edmund Burke (1729 – 1797), a famous parliamentarian, as being intended “to reduce the Catholics in Ireland to a miserable populace, without property, without estimation, without education.” The Act of 1695 made it unlawful to open a Catholic School in Ireland or to travel overseas for a Catholic education. Nano is believed to have attended a so called ‘hedge school’ at her home before family connections in Cork were able to secure passage for her and her sister Ann to France, where they lived for 16 years, receiving a Catholic education and enjoying a sophisticated life in French society. After their father’s death, Nano and Ann returned to Dublin to live with their mother. Here Nano came face to face with desperate poverty on the streets of Dublin as well as with the generosity and kindness of her sister Ann to those who were living in poverty. After the death of her mother and her sister Ann, Nano returned to live with her brother at Ballygriffin. However, confronted with the misery, poverty and hopelessness of the Irish people, she went to France and entered a Benedictine convent at Ypres to pray for them. After a short time, with the help of a spiritual director, Nano realised that her vocation was to return to Ireland to address the injustice of the Penal Laws by educating poor Irish children and caring for those who were the most poor and oppressed. Nano went to Cork where her brother Joseph lived and in 1754 at the age of 36 she began her first school for 30 poor children, in defiance of the Penal Laws and in complete secrecy. When her brother Joseph eventually found out what she was doing, he was fearful that the whole family would face recriminations. On the advice of his wife, he took the risk and supported Nano in her venture. Within a year she had 200 students. Within 15 years, she had 7 schools in Cork. Schools were for Nano a primary way of addressing the root causes of poverty and the systemic injustice of the Penal Laws. Education gave children a sense of their own dignity as well as practical skills and knowledge to earn a living, rise out of poverty and make their way in society. She also ensured that they had a sound religious education. As Nano herself said, schools were not her only object. Her other “lantern works” included visiting those who were sick, elderly, imprisoned and destitute – often at night, walking through the dark and dangerous streets of Cork by the light of a flickering lantern. In 1783 she built a home for aged and destitute women. Nano used her own wealth, much of it inherited from her uncle Joseph’s estate, to support her many good works, and when this ran out she begged on the streets. Nano’s ongoing concern was to provide a solid financial and organisational structure for her schools and other good works so that they would continue after she was gone. 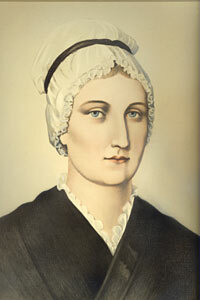 She brought a religious congregation – the Ursulines – from France thinking that they could teach in her schools, but their rules and traditions did not allow them to give preference to those who were poor as a top priority nor to walk the streets to engage in Nano’s other “lantern works”. In January 1775, at the age of 56, Nano invited two young women who assisted her in the schools to join her as the first members of her own religious order. Another young woman joined them later. Nano’s dream was to have a group of women who would be dedicated to the education of those who were poor and destitute and to other “lantern works” that would challenge the unjust social and political structures that made and kept people poor. On Christmas Eve 1775, Nano’s own congregation of sisters was established – the Sisters of Charitable Instruction of the Sacred Heart of Jesus. When in 1805 the Order was approved by Rome, the name of the congregation was changed to “The Presentation Sisters of the Blessed Virgin Mary”. Nano’s congregation spread throughout Ireland and throughout the world. The first mission outside of Ireland was to Newfoundland, Canada, in 1833. The first Presentation mission to Australia was to Hobart in 1866.